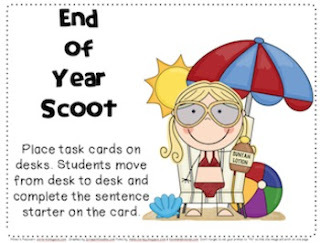 Place these task cards on desks around the room. Students move from desk to desk and complete the sentence starter on the card. Fun way to end the year and get some feedback from your kiddos!